Are you also using Spectranet internet? It is smart to learn how to check data balance on Spectranet within moments. This is an easy option, and you can find the directors below useful and handy. It is necessary to keep an eye on your data balance and renew it in time to stay always connected with your friends, relatives, and family 24/7. Spectranet is a well-known internet provider in Nigeria. It offers both WiFi and MiFi modems and devices, but it covers only several areas with its 4G LTE network. So if you happen to live in Lagos, Abuja or other territories that have the super-fast connection offered by Spectranet, you are most likely using this company’s services. Step 1. 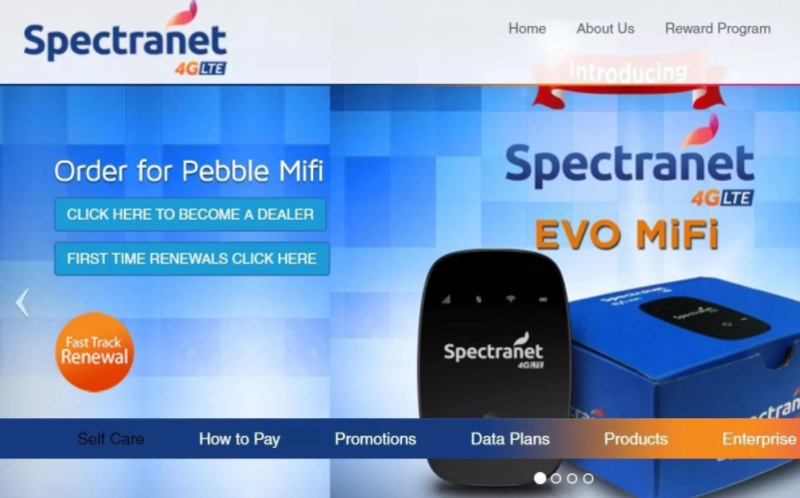 Visit the official company’s site https://www.spectranet.com.ng/.Step 2. You should see the ‘Self Care’ blue menu, so click on it to proceed.Step 3. You will be forwarded to the next page. There is a red button that says ‘Login to SelfCare’ so press on it to continue.Step 4. Log in to your account. You should use the user ID and password provided to you by Spectranet when you purchased its modem or device. Just remember to change your default passcode to protect your account.Step 5. Once you access your account, you will see your personal dashboard.Step 6. Get down to the option that states ‘data balance.’ It appears as three numbers separated by a colon. For example, you see 10:153:67. Let us understand what it stands for. In our example, 10 means 10GB; 153 means 153MB and 67 means 67KB of data you can still use. This is the first method how you can use to check your data balance on Spectranet in Nigeria. You should call customer support. So visit Spectranet’s site if you do not remember the phone number.Find the phone on the firm’s site and dial it or just press on ‘Contact Us’ menu to view the available phone numbers.Make a call and ask the support team to tell you how much data you have left on your balance. It is wise to plan all your spending, including the Spectranet data balance updating and renewing. This way you will always know how much data you have left and when it is time to add some money to your account. Since you know both ways of checking your balance now, use them to be aware of your internet expenses. 0 Response to "2 Amazing Methods to Check Spectranet Data Balance in Nigeria"